Hello, there fellow eSports fans! Today, we are looking at Fortnite’s eSports scene and the future plans that they might have in the scene. 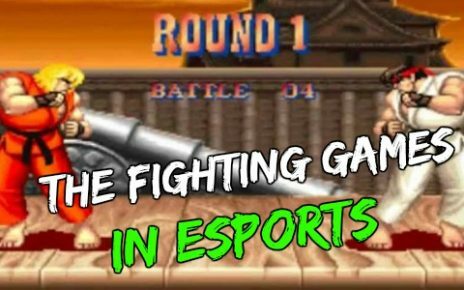 Esports has been a rising market in the past few years. It is a billion dollar industry actually, and Fortnite wants in on that slice of the pie. That means more money for the competitors, more money for Epic Games as well due to sponsorships and Twitch deals. I will be discussing today on where Fortnite is up on the competitive scene, and where it will end up in the future. So sit back, relax and grab a drink. First off, what is this game? Well to put it simply, Fortnite is one of the recent games released that follows the Battle Royale style of gameplay. It is somewhat similar to titles such as PUBG, which is it’s more popular brother and H1Z1, which is the granddaddy of both of these. 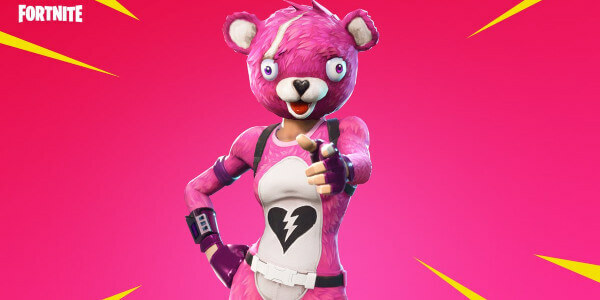 It was created by Epic Games, the same company that created games such as Tales from the Borderland and the Walking Dead series. This makes the graphics of Fortnite similar to those titles, which is cartoony or comic based. The Battle Royale motif came from an old Japanese movie entitled the same. The premise is that in the movie, they put an entire high school class against each other on a secluded island, eliminating each other until there is one left standing. It translated very well to first-person shooters since it will fit the idea. So what these Battle Royale games do is that they adapt a similar style of play as the movie, where they put 100 players against each other and drop them on a secluded island where they forage for weapons and gear and try to survive for as long as they can. 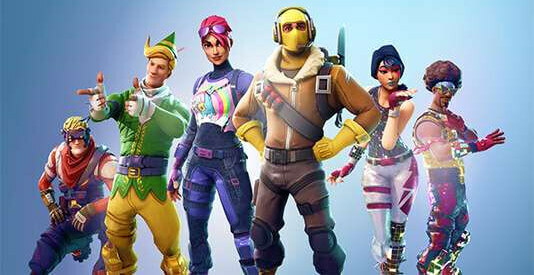 However, what sets Fortnite different from its brethren is that they have the build function. Fortnite is actually a cross of PUBG on the shooting standpoint and Minecraft from a building standpoint. You can actually destroy trees and other things for building materials and build yourself a maze or a fort for defense. It also features cosmetic items, where you can dress up your character in kooky outfits or become John Wick himself. So what makes it viable for competitive play? The game mode itself is competitive. On a single player standpoint, you are basically competing against 99 other players and see who is the last man standing. Pair that with cartoony graphics and a pseudo-Minecraft mode inside of it and it will pull a lot of players to play and try it out. It’s like hitting two birds with one stone. There are actually a lot of popular people who stream and play Fortnite. Ninja, one of Twitch and Youtube’s largest content creator streams it regularly and creates a lot of gaming videos as well. A lot of famous personalities play as well. 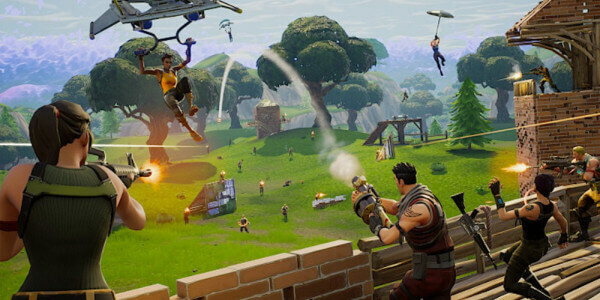 JuJu Smith-Schuster, who is a wide receiver for the NFL team Pittsburgh Steelers said it himself that he plays Fortnite. The lead vocalist and guitar player from Trivium, Matt Heafy plays and streams it on Twitch. With these big names playing, Fortnite has a lot of pull from the audience to try and play it. Now let’s move on to the eSports side. The Youtube personality Keemstar has launched his own Fortnite event. It is called Friday Madness. This tournament offers a weekly prize pool, somewhere around $10,000 to $20,000. It has been successful and a lot of big name streamers converge on his tournament and play weekly. Aside from that, Fortnite had a successful eSports run during the E3 Pro Am last June. Due to its success, Epic Games decided that they want in on the scene and decided to launch its Summer Skirmish. They invested around $100 million in building its eSports scene. 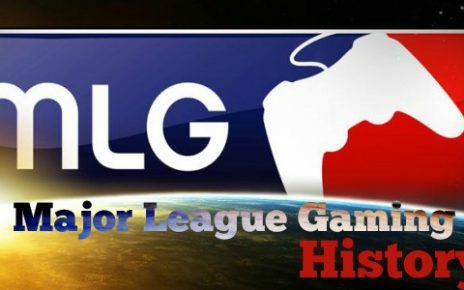 The tournament that they launched featured a $250,000 prize pool every single week, with $50,000 going to the first place winner. They also offer cash prizes for bounties ingame, such as the highest kill count. So even if you do not win the first prize, if you are staying active in the match and actively headhunting, you might have a shot at winning these so-called bounties. A lot of eSports teams already signed up for the Summer Skirmish as this is a big tourney with a very big prize pool. Now the gameplay on these two tournaments is very different. Keemstar’s Friday Madness features the highest kill count motif, where even if you die if you have the highest kill count when the match ended, you end up as the big winner of the pot. This makes the gameplay in his tournament very exciting as you will see a lot of people actively frag hunting and not camping and building elaborate forts for defense. On the other hand, the Summer Skirmish gameplay stays true to the game. The winner of the weekly Summer Skirmish is the last man standing. So even if you just have one kill, if you manage to hide out and remain the last person, you win the big pot. This makes for a very dull gameplay to watch as a lot of people will tend to just hide out and not actively engage in fights. Somehow, if Epic Games decides to up the format and move it to the Blitz mode, then we would see a lot of engagements in the game due to the limited time constraint. I hope they move it to Blitz for a far exciting tournament for spectators because the current scene that it has is somewhat lackluster and boring. On a production standpoint, Epic Games has a lot to learn. On their tournaments right now, they only focus on the big-name personalities and follow them around. They do not hop from player to player just like what Keemstar does in his tournaments. Also, they follow them on a first-person view. Viewers would like to see the layout of the map and also different camera angles for a wider view of the map. With the first person view mode, it is very hard to notice a fight or a skirmish on different parts of the map. They should also put up leaderboards for viewers to see who is top fragging. Production wise, they should emulate Blizzard, on how they broadcast Overwatch or Valve, on Counter-Strike Global Offensive. They should put a spotlight on the players themselves who play in the tournament too. However, the second one is a little bit harder to do as the Summer Skirmish is a global tournament and not played in one single arena. Maybe sometime in the future they would take a cue from these other companies and do the same to their eSports production. For now, we are on the outside looking in on what Epic Games is doing. This is the first time they went in deep on an eSports aspect and they are still testing and feeling the waters out. Maybe sometime in the future, we do see a tournament where all the matches are exciting. Who knows, we might see John Wick running around and racking up kill counts as they go along, staying true to the John Wick name and paying it justice. Other than that, Fortnite is a viable eSports contender and I personally would like to see it being played on a bigger stage. Thanks for following us guys! Good luck and see you soon!